As today's technologies continue to evolve, the businesses that fail to adapt in tandem are put at a competitive disadvantage. This is why the demand for web and mobile applications is surging. The software can be used in a wide range of environments to significantly enhance both internal and external operations. However, as companies face increased pressure to design and release apps more quickly, they are also met with rising security risks. WhiteHat Security revealed that any one app could have five to 32 vulnerabilities. In addition, the time it takes for organizations to fix them is on the rise. Between 2013 and 2015, the number of days it took to resolve one, on average, rose by 50 percent, jumping from 100 to 150. Furthermore, according to the HPE Cyber Risk Report 2016, 90 percent of web app vulnerabilities are caused, at least in part, by poor implementation of security functions. Despite the widespread concern and attention being paid to the issue of unsecured infrastructures, software and networks, it seems that many company leaders are still putting a stronger emphasis on the speed of app development than they are the security of it. In a survey conducted by Ponemon Institute for IBM, 65 percent of the participating software developers agreed that the pressure to "rush to release" was contributing to the uptick in app vulnerabilities. "When it comes to application development, security should never be sacrificed for speed." Developers use a range of security functions, such as encryption and authentication, to help ensure apps are protected. However, sloppy coding practices do not make for secure apps. And, unfortunately, the reality is that the IT teams of many organizations are burdened with an overwhelming to-do list, with the rapidly expanding requests for app development projects only one of their responsibilities. Another trend further fueling this issue is the shortage of highly skilled tech talent. The high-demand for fast turnaround on apps - and limited access to in-house capabilities - has led to the growing popularity of Rapid Mobile App Development, or RMAD. It allows businesses to create mobile apps without having to custom-write the code. Programming tools enable organizations to streamline the process, creating a faster, more affordable process. In some aspects, RMAD offers tremendous gains, but it is not without its limitations. The problem is that using this method doesn't offer the same flexibility as custom-built software does and, perhaps most importantly, not as much security. Ultimately, a digital or mobile app is only as valuable as it is secure. And when it comes to application development, security should not be sacrificed for speed. Hackers are becoming more sophisticated in their cyber criminal activities - and the risks of a poorly secured app and the disruptions that can occur as a result far outweigh any potential benefits of creating and implementing one quickly. Because the issue of application security has garnered so much attention over the past few years, an increasing number of organizations are turning to open-source software for web and mobile app development, according to North Bridge. Currently, 78 percent of organizations use it and 88 percent plan to make more investments in this type of software over the next few years. Open source architectures offer much greater versatility and leverage than other types of programming languages, which is why it should be considered in any custom app development project. To enhance risk mitigation, more are turning to open-source software for app development. The scope and complexity of mobile app development can often be underestimated, especially by business executives not well-versed in technology and coding. Even many programmers, developers and software engineers today are often overcome and fraught with how to best navigate the complexities and challenges unfolding across the digital landscape. One of the strategies businesses can use for app development that addresses many of the issues mentioned above is to enlist the help of a third-party IT sourcing company. 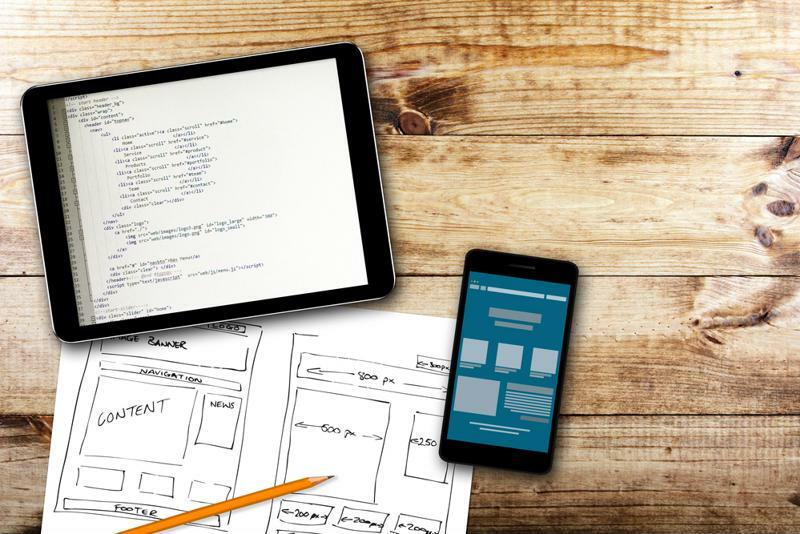 By using this approach, organizations will be able to have a custom web or mobile app built for them using the development environment that meets their specific needs. These specialists will be able to dedicate the critical attention, time and resources needed to ensure the project gets done correctly and quickly that wouldn't be possible otherwise for the company – either because the business doesn't have access to such talent in-house or because it's already being used for other crucial areas of business.